2/11/11 6AM PT – GOOD NEWS: To quote the Saturday Night live character Rosanne Rosanna DannaÂ – “Nevermind”. It seems that Facebook my have had the same people in charge of the page redesign that were also in charge of the ticket fiasco ( “seatgate” ) at the Super Bowl. You can’t just change the page dimensions and or Stadium size for that matter and think it won’t impact people. So here’s the good news. Those 520 pixel wide photos that didn’t work the new page design on a Welcome pages, they now work. Lucky for Facebook their problem was solved with a couple lines of code change instead of offering money and tickets to those effected. Here’s a photo on the new page design with a 520 pixel wide photo that does fit. Since the shameless plug to visit my Facebook business page was a the bottom of the original story, and there is now need to read the rest of the story, I’ve added another shameless plug here. So I finally took the plunge and added a Facebook business page 10 days ago. Now as you may or may not know, Facebook has come out with a new design for pages. Well of course they did.Â I learned the old design just two weeks ago, so it must have time for a change! It looks like the new design has some nice new features, but that’s not the point of this post. Many people who have a Facebook business page have set up a Welcome or landing page for first time visitors to their page. I also set up a welcome page. 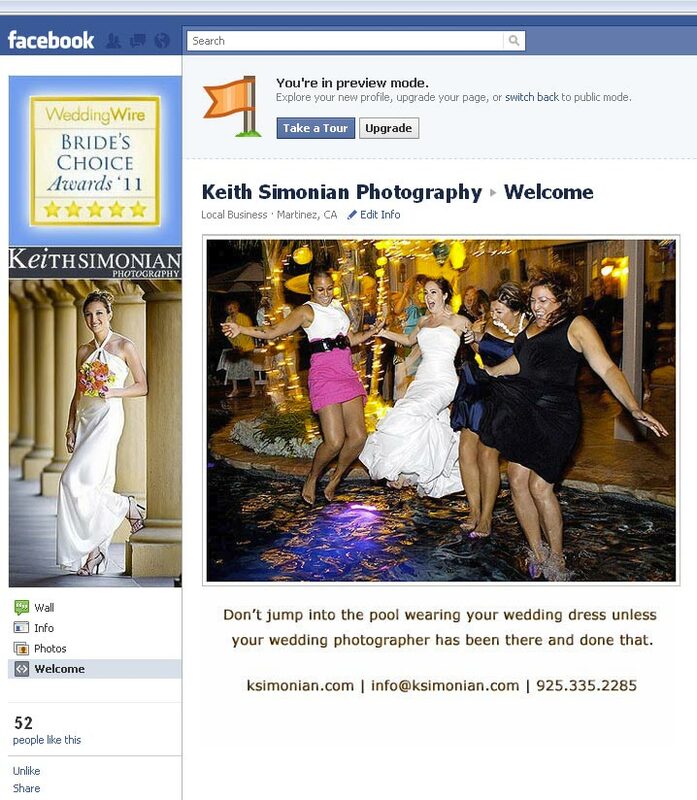 Using either HTML or FBML (Facebook Markup Language) you can display a message or image on that page. The important consideration was that an image could be no wider than 520 pixels on that page. All that has changed with the new page design. A 520 pixel wide picture will now be cut off in the new page design. 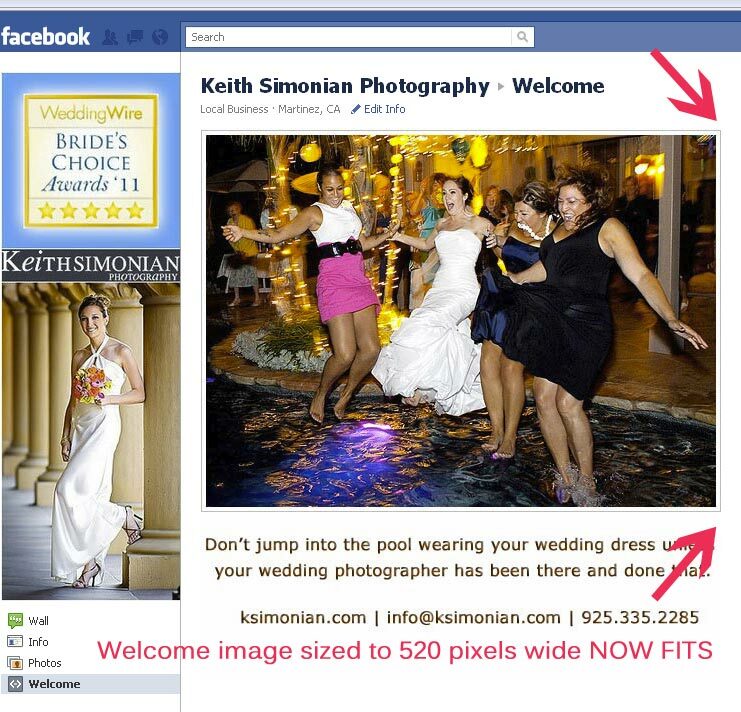 The photo below shows my old 520 pixel wide image using the new facebook page design on my welcome page. The arrows show where the picture is cut off. This photo shows the new page design with an image that is 493 pixels wide.Â Unless there is a change in the page layout specifications, 493 pixels wide is the defacto new maximum size allowed. Time for a shameless plug. You might want to take this opportunity to visit my new Facebook Business Page which can be found at this link. Don’t forget to like the page if you are so inclined. 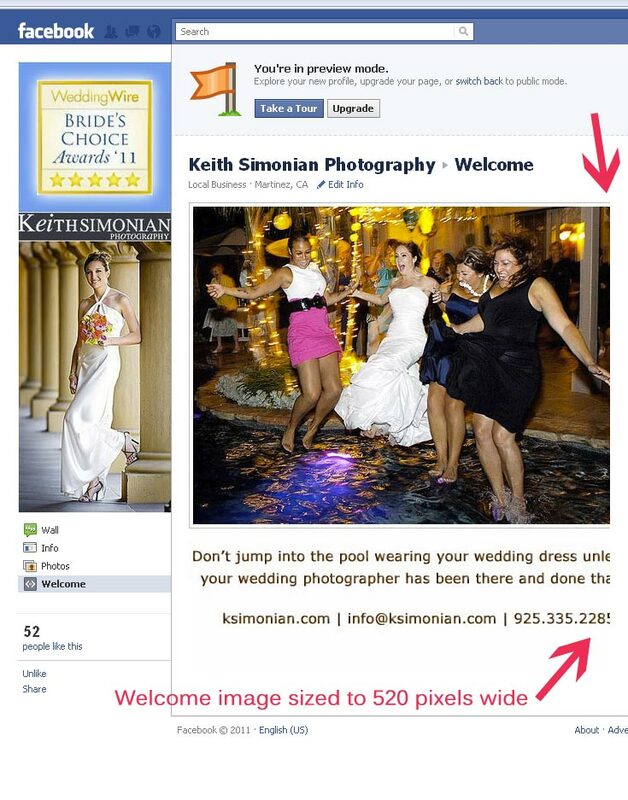 With a blog post on Friday August 26th, 2011 Facebook announced that photos can now be displayed up to 960 pixels, up from the previous size restriction of 720 pixels. Facebook also announced that the not to popular image box image display would be replaced by more streamlined image viewer that featured the photos more and that the photos would now load twice as fast. No mention of how they were going to preform that magic. The correct size for the new Timeline cover photo is 851 x 315 pixels, NOT 850 x 315 pixels that many have reported. You have a pixelated photo using the smaller dimension.